The Borris House Festival of Writing & Ideas 2019 - the eighth edition - promises a weekend of stimulating dialogue and discourse, gathering together intriguing international minds from all over the world and inviting them to Borris Village for a few days. Prize-winning novelists, poet laureates, genre-changing musicians, mind-expanding academics, journalists from far reaches of the globe, but also artists, film-makers, political commentators, musicians, architects - and regular people who have experienced the extraordinary - grace the stages across the weekend. Curiosity might lead a festival-goer from the Middle Eastern front-lines, to first-hand accounts behind the lyrics and music of Florence and the Machine or Pink Floyd, to the latest research in neuroscience, to a forgotten novel penned 50 years ago, or to a local uileann piper’s call. The Festival of Writing & Ideas has become known for its casual, friendly atmosphere, and for its extraordinary line-up of speakers, carefully curated by a small team led by Vivienne Guinness and Hugo Jellett. 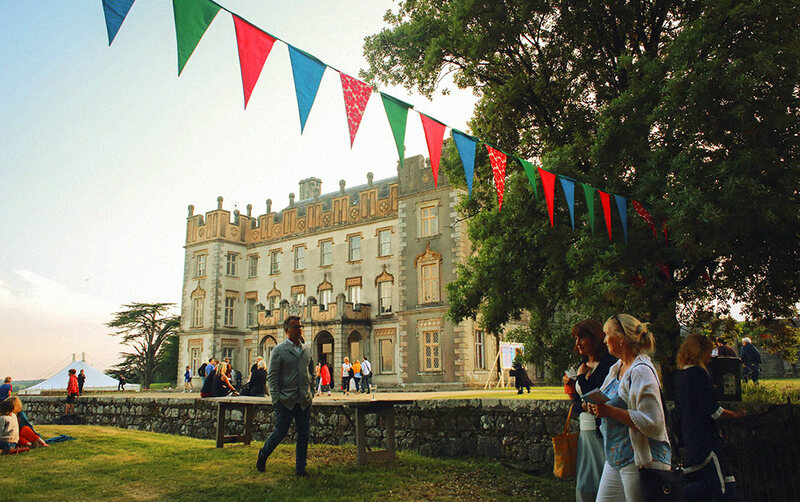 It takes place each year in the magnificent surroundings of Borris House, the seat of the High Kings of Leinster, situated at the foot of the Blackstairs Mountains with the River Barrow meandering by. Spilling out into the pubs and halls of this idyllic village, the festival is a place that the curious find inspiring. In the past years this small village in Carlow has welcomed Donna Tartt, Ian McEwan, Margaret Atwood, David Gilmour, Chrissie Hynde, Dominic West, Kate Tempest, Don McCullin, John Paul Jones, Michael Chabon, Sebastian Barry, PJ Harvey, Antony Beevor, Anne Enright, Martin Amis, Roy Foster, Michael Cunningham, Tommy Tiernan, Michael Harding, Louis De Bernieres, Philomena Lee, Joseph O’Connor, Bob Geldof, Michael Craig Martin, Colm Toibin, Florence Welch, David Simon, Mary Robinson and many many others. In 2019 over 65 speakers will participate in 50 events over the first weekend in June. These generous and inspiring people are patrons of the festival, contributing to its future, and encouraging its development at each and every turn.